Gower Peninsula is home to around 30 unspoilt beaches and coves. The beaches are blessed with good water quality. Grey Seals are common and there are regular sightings of Dolphins and Porpoises, particularly off Worms Head. 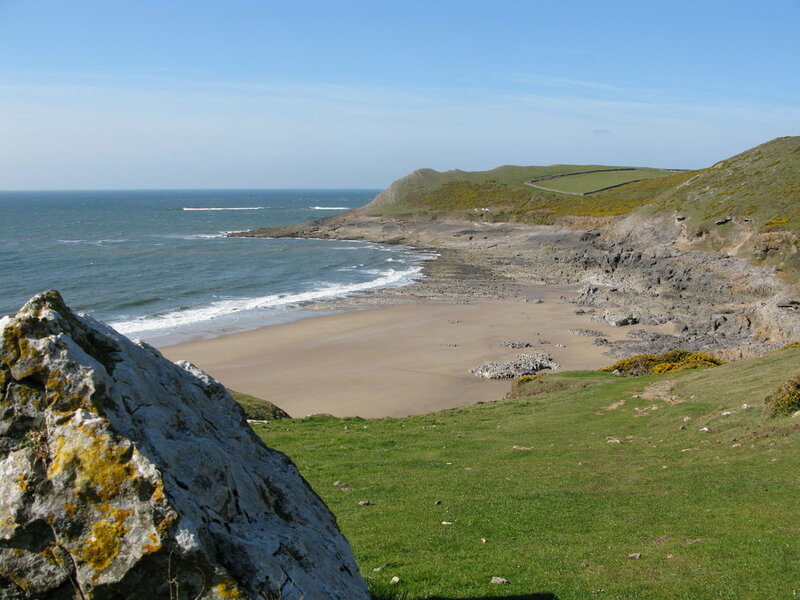 Gower has a number of large, popular beaches with wide expanses of sand and an array water sports. Some beaches will have more facilities than others, including seasonal lifeguarding. There are dog restrictions in place on many beaches during the summer months. If you prefer more secluded beaches, then there many small coves and bays that provide the opportunity for a more tranquil experience with plenty of rock pools to explore. The Guardian lists neighbouring Llangennith among its '10 classic surfing beaches' and 'Top 10 UK Surf Spots', while Three Cliffs Bay is Britain's best camping beach (The Independent), and one of the top 4 views in Britain (Britain's Favourite View contest, ITV). 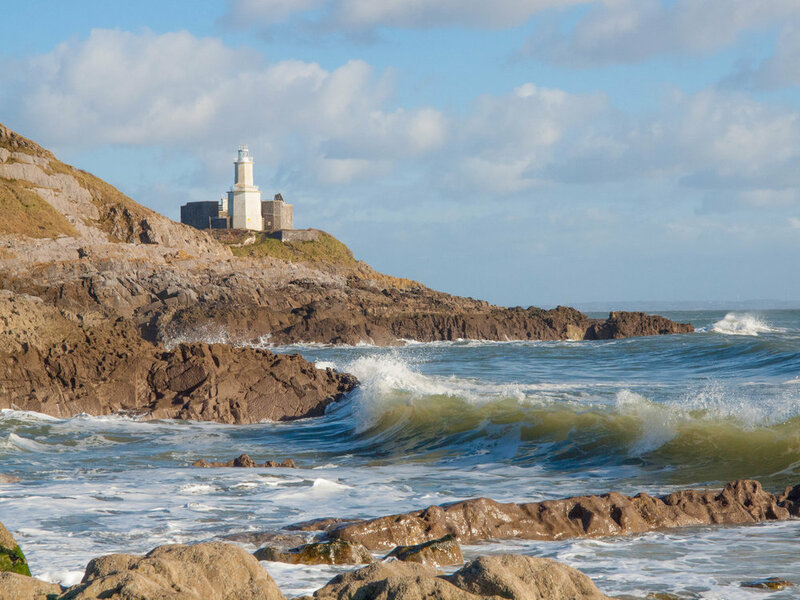 Some Gower beaches are subject to strong tides and currents, so always check the weather and tidal conditions before swimming or any water-based activity (and if inexperienced, use an accredited operator). if available, always abide by warning flags and notices. If surfing at Llangennith, watch out for shipwrecks below the waterline at low tide. When crossing over to Worm's Head, please report to the Coastwatch Centre before you go. If your return journey is cut off by high tide, do not attempt to swim back to shore. Burry Holms is also restricted by tidal access, so check your timings. .......and finally, don't forget the suncream!